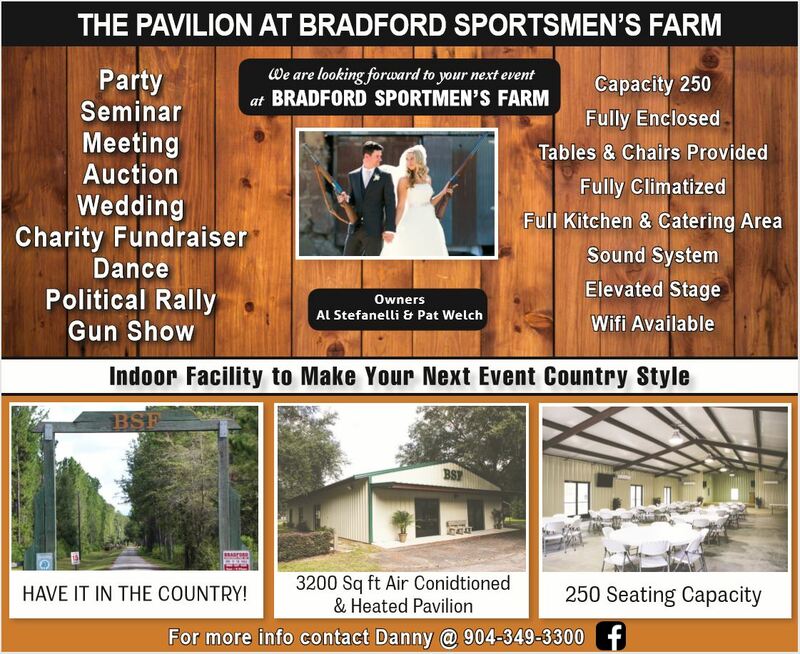 If you are planning a wedding, banquet, conference or just a plain old party, bring it out to the country. The Pavilion at BSF is fully air conditioned and has plenty of parking for all of your guests. For reservations and more information call Danny @ 904-349-3300. We are looking forward to your next event.